What Happened With Last Year’s Syringe Service Bill? Despite widespread and bipartisan support for Arizona’s Syringe Service Bill, House bill 2389 stalled in Legislature last session after being amended in the Senate. Republican Representative Tony Rivero of Peoria sponsored the original bill which would legitimize Syringe Service Programs (SSP’s) throughout the state. The bill’s intent was to combat the spread of infectious diseases such as HIV and Hepatitis through legal operation of SSP’s, where IV drug users can obtain clean syringes and safely dispose of their used hypodermics. The bill would have defined legality regarding SSP’s in what is now considered to be in a “grey” area of operation through the eyes of the law. Currently, and in spite of law enforcement’s widely permissible attitude towards these programs, volunteers and participants alike are at legal risk and can technically be charged with distribution/possession of drug paraphernalia, a felony in Arizona. Republican Representative Tony Rivero initially introduced HB-2389 back in February of 2018. The bill was supported unanimously in-favor-of and immediately passed in the State House, uncontested. Despite overwhelming support for the bill in its original form, the AZ Senate Committee on Government imposed an amendment, making it necessary to first wait for a public health emergency to occur before legally allowing SSP’s to operate. Although there is no definitive explanation for the amendment, there is speculation that bill would simply not gain the support of Arizona’s Governor, Doug Ducey. The bill was sent to a Special Committee for further discussion of the amendment and it eventually became overshadowed by a wave of political activity within the state such as the Red for Ed movement, and the fact that it is an election year. Subsequently, this is where the bill died. Meanwhile, Arizona remains exposed. The amendment to HB-2389 was intended to make it necessary to first declare a public health emergency prior to sanctioning legal operation of SSP sites. This means that Arizona would need to demonstrate a significant increase in “significant” outbreaks of infectious disease to constitute as a public health emergency, according to the US Department of Health and Human Services. This very occurrence unfolded in 2014 in Scott County, Indiana where over 200 HIV incident cases were reported among IV drug users from 2014-2015. The Indiana State Department of Health initiated an investigation in early 2015 and declared a public health emergency by springtime, 2015. It wasn’t until that point in which Governor Mike Pence authorized state officials to establish programs aimed towards prevention of new HIV infections. Pence has been a longtime opponent of syringe service Programs and he viewed the decision as an exception to his moral calculus in an attempt to balance his personal faith and public health. Consequently, Pence remains under a level of political and public scrutiny on the basis of inaction, which resulted in what many deem a preventable outbreak of HIV within his home state. Syringe Service Programs date back to the 1970’s, with the first government approved initiative taking place in the 1970’s, Netherlands. The onset reduction in the spread of infectious diseases was noticeable and the concept naturally made its way to the West by the 1980’s. Statistically and scientifically, SSP’s efficacy in reducing the transmission of infectious diseases is palatable and evidence based, and even backed by numerous government studies. The Institute of Medicine, National Research Council concluded that SSP’s “can be an effective tool for preventing HIV transmission and do not increase drug use”. The Office of Surgeon General found “conclusive scientific evidence” that SSP’s are an effective strategy for reducing HIV transmissions. In 2002, the Institute of Medicine, National Academy of Science noted that “Improving access to sterile injection equipment is a critical component of HIV prevention” while also noting SSP’s as being “highly cost effective”. The report also concluded that SSP’s do not lead to increased drug use, criminal activity, or discarded syringes. The Indiana incident back in 2014-2015 is one of many examples that demonstrate an overwhelming need for syringe service Programs in the US. The spike in infectious disease cases came without warning and it’s irresponsible to think it won’t happen again. The local government’s position on SSP’s and the subsequent delay in action to mobilize SSP’s in the face of a public emergency was a monumental failure that sustained meaningful consequences for the community. Scott County’s scar mustn’t rest in vein and Arizona has an opportunity to reap the benefit of a hard lesson learned. syringe service Programs and harm reduction techniques prevent the spread of infectious diseases and save lives, respectively. A reactive mentality has proven to be ineffective and dangerous, while showcasing why it’s even more crucial to not attach conditions surrounding them such as the need to produce evidence of an outbreak. The damage is done, and damage control is hardly a strategy. Syringe Service Programs however, are much more than what the name merely suggests. They are also the leading distributors of the opiate/opioid reversal drug, Naloxone. Also known by the brand name Narcan, Naloxone is an opiate antagonist that quickly counter effects the deadly symptoms of overdose, particularly suppressed or ceased respiration. Shot In The Dark, a Maricopa County based volunteer organization with 9 SSP sites throughout the Valley has reported over 5500 overdose reversals with the use of naloxone so far in 2018. Participants of SSP’s can also take advantage of screening options for infectious diseases such as HIV and Hepatitis, while receiving results in as little as 20 minutes. By focusing on the harm reduction aspect of today’s drug related crises and epidemics, groups like Shot in Dark make a measurable impact on the reduction of casualties experienced as a result. Perhaps one of the more powerful features of syringe service Programs often evading recognition, is the sanctuary from stigma that so many users experience from the outside looking in. Maybe it’s not that it goes unnoticed, but rather that it’s just too multifaceted and complex to be commoditized. It’s not a clean syringe, it’s not naloxone and it’s not an HIV test. It’s safe environment for personal and communal connection and growth for people who use drugs. As we can see, Arizona needs Syringe Service Programs. Representative Tony Rivero will be reintroducing the Syringe Service Bill this January and we need to make sure our legislators understand how crucial SSPs are in reducing overdose and supporting those who have nowhere else to go for services. We need to act, raise our voices, and reduce harm at the legislative level. 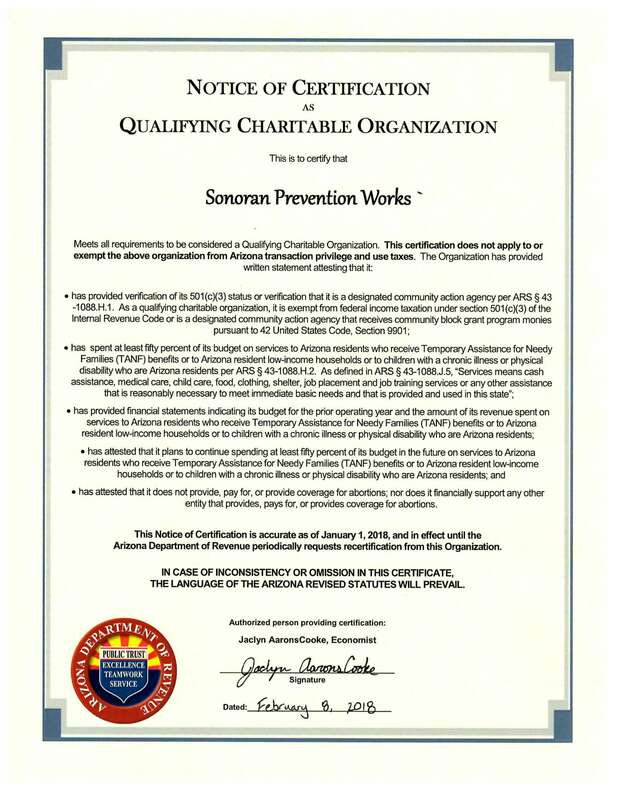 Sonoran Prevention Works has numerous opportunities to get involved and advocate for SSPs in AZ. Check out their website at Advocate and get plugged in. On February 4th there will be an Advocacy Action Day at the State Capitol in Phoenix where myself and advocates from across the state will be deploying in teams of two to speak with our state legislators about the need to support SSPs. Join us and make your voice heard!